At The Learning Place, our people are key to our success. Tina began her journey with TLP in April 2016. Her first yet brief role was as a Board Member and quickly changed into the position of ExecutiveDirector. Tina brings with her over 23 years in educational delivery, implementation, and a keen business focus. Tina believes that everyone has a unique life "story" that makes up who we are and who we choose to become. For many, The Learning Place is the beginning of a new chapter that often lends insight into the next sections of life. Cathy has worked in the Literacy and Basic Skills Program since 1996, serving in various roles: assessor, volunteer coordinator, employment facilitator, staff trainer, and community outreach worker. She is a passionate instructor that has been helping individuals improve their literacy skills, achieve their goals, and reach their full potential by helping to open new doors of opportunity through learning. It is immensely rewarding to work for an organization that values each and every individual and continually strives to transform lives. Monica is the newest team member of TLP. She has extensive years of experience teaching adults from diverse backgrounds, having learning and physical disabilities. Her passion for imparting education and knowledge in the community fits well with the mission of The Learning Place. Manal joined TLP as a Numeracy and Technology Instructor in March 2013. Sheis knowledgeable in Literacy and Basic Skills Program Guidelines and Essential Skills. 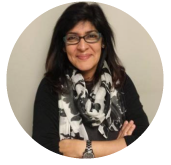 Manal is also experienced with using Ontario Adult Literacy Curriculum Framework (OALCF) and Numeracy in action. Manal is always in touch with the latest technology and assistive technology devices and believes in technology power to ease learning challenges and disabilities. Ranjana joined TLP in August 2010 and has had extensive experience in the educational field. As the Intake and Referral specialist she is the first point of contact and understands the importance of respecting the callers, empathising with them, understanding their goals and assisting them. Sandy joined the TLP Board in October of 2016 and is an engaged member of the community. Sandy brings over a decade of project management expertise as well as extensive leadership skills from many industries such as healthcare, manufacturing and banking. Sandy is passionate about education and wants to use her time on the board to help make educational goals accessible and achievable by all. Joan joined TLP in 2016. She brings 20 years of experience in strategic leadership & business optimization from a variety of industries. She is passionate about making a positive impact in her community and is proud to be part of an organization where education enriches the lives of thelearners and everyone around them. Rob started his career in Finance but has worked over 30 years in the IT industry and currently is an IT Leader at Peel Regional Police. He joined the TLB Board in March 2017 to show his commitment to Peel Region and its many communities. Life-long learning is one of his passions and supporting TLP’s learners is a reflection of that passion. Jennifer has a wide array of experience in the public health sector. Her graduate training in health administration brings a systems perspective to TLP’s strategic planning and program development. Jennifer feels strongly that from a social determinants of health perspective, literacy can have a profound impact on one's health and quality of wellbeing. Fahad joined the TLP Board in March 2017 and brings extensive experience, change management skills and leadership capabilities from the Financial Services and Banking industry in Canada. Fahad feels we have an incredible opportunity to ensure all members in society have the basic skills to be successful, and supporting TLP with this mission in a community where he grew up and now lives is truly rewarding. Leah joined the TLP Board in May 2017. 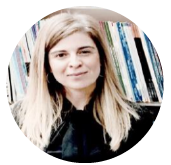 She lends her experience in student support including universal design, equity and accommodation gained during her career in the higher education sector to the TLP. Leah believes that all learners come to TLP with unique skills, abilities and other attributes. It is the support of the diverse learner group via TLP programming that leverages a learner’s strengths to increase their confidence and independence, allowing for a deeper learning experience. Paul joined the TLP Board in February 2017 and brings extensive experience in research, strategic and system planning, project management, community partnerships, human services, and the public sector. Paul has a history of community involvement and is passionate about initiatives that improve quality of life. Paul is inspired by the work that TLP does to support individuals to reach their fullest potential.